The presidential candidate of the Peoples Democratic Party in the 2019 elections, Alhaji Atiku Abubakar, on Wednesday berated the All Progressives Congress, saying steps taken by the APC since 2015 had ended in failure. He declared that the party was on a rescue mission to save Nigeria from further sinking. 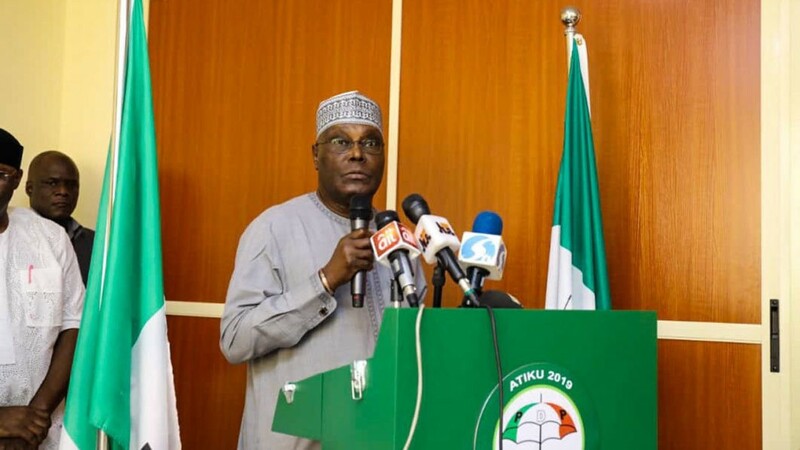 Speaking at the North - Central zonal presidential campaign rally held at the Metropolitan Square, Ilorin, Atiku said the APC had misgoverned the country by making promises which were not fulfilled. He stated, “In 2015, the APC promised us security which they failed to provide. They promised us food on our table, but today we are hungry. They promised us good health facility and adequate supply of drugs in our hospitals which they failed to do. They promised to fight corruption but worsen the system. “The PDP has come to rescue the people of the country from the suffering, which the APC has put us into,” he added. In his address, the Senate President, Dr Bukola Saraki, who is the Director General of Atiku Campaign organization, urged Nigerians to vote President Muhammadu Buhari and the APC out of power in next year’s general election, lamenting that the APC had failed to deliver on all its 2015 campaign promises. “The APC promised Nigeria a lot of things. They promised us security. Then we had security problem only in the North- East, but now it has extended to North- Central and even the North-West. APC has failed because security has worsened. “People are dying of hunger because economy has gone terribly bad. They have also failed in fighting corruption. The hunger is serious in the country today. Nigeria is today world ’s poverty capital. We need a president that will fix the economy, create jobs and unite Nigerians. The PDP presidential campaign standard bearer also paid a courtesy call on the Emir of Ilorin, Alhaji Ibrahim Zulu - Gambari, where he debunked the report that the party rented crowd for its North- West zonal rally held in Sokoto. Alhaji Atiku promised to maintain his aged long closeness with the Ilorin Emirate and further chart the way forward for the development of the state and nation at large if elected as president in 2019. In his remarks, the Emir of Ilorin and Chairman Kwara State Traditional Council, Alhaji Ibrahim Sulu- Gambari, urged the Chairman of the Independent National Electoral Commission, Prof. Mahmud Yakubu, to be an unbiased umpire in the 2019 elections. He also advised the judiciary to act independent of all arms of government in order to discharge its roles as the hope of the common man in the country.